I am currently preparing for "round 3" of Whole30. Does this make me crazy? .... maybe. Or maybe just "enthusiastic"? Well... one or the other! :) Either way, expect a flood of Whole30 themed/inspired blog posts in the near future. To start, I'm sharing with you post #1 in my "Whole30 Restaurant Guides" series. Chipotle has been a savior during my previous two rounds of Whole30, but I'm not sure that I avoided all of the right things. 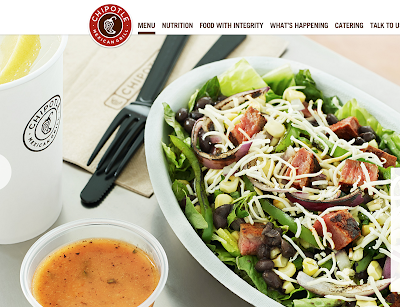 So, I've taken the guesswork out for you guys, and spent a few minutes scouring the Chipotle website for specific ingredients lists & whether they measure up to Whole30 standards. 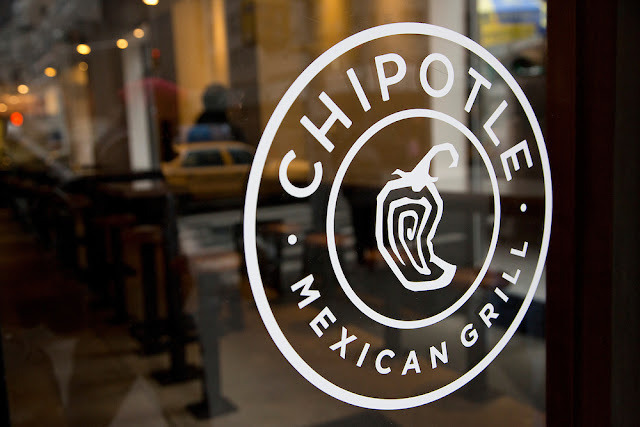 Now, keep in mind, if you're just aiming to "eat Paleo" on an everyday basis, or are avoiding gluten, soy, etc.~ Chipotle doesn't have to be so limiting. But for Whole30 purposes, we must get serious. I've left out the obvious (cheese, corn, beans, rice, tortillas, etc.) & broken down the rest of their more Paleo-friendly ingredients list with those that are approved (“YES”) & not approved (“NO”— with the deal-breaking ingredient). So, if you're Whole30-ing, pick your fav's from the "YES" list, and pile 'em up however you like! Awesome job Jessie. This post is extremely helpful, informative, and unique. I appreciate all of your hard work. Thanks for verifying I've been doing it correctly. Dathan~ Thank you for being my biggest supporter, you're the best! Nice! Can't wait to see more from your restaurant series. This was really helpful. With this guide I was able to eat out for the first time on Whole 30. I am just finishing up day 19. One thing I would like to point out is that I believe the red tomatillo salsa is compliant. Distilled vinegar is ok per the program guidelines. Also, see the link below to a Facebook post where the official whole 30 Facebook account confirms. 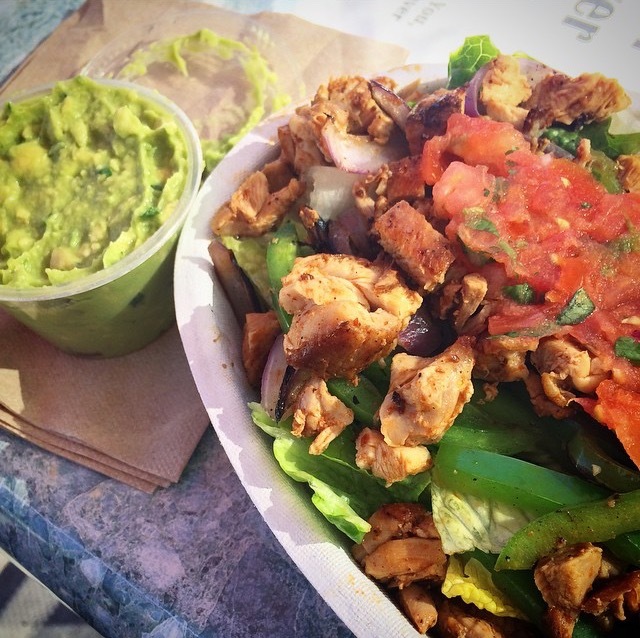 Would it be ok to get the fajita veggies if you ask for them raw? I'm sad that other meat options aren't compliant, as I'm allergic to pork. Do they use the oil in the marinade? I wonder if it's possible to get other meat without the rice oil. I just googled "Whole30 compliant Chipotle" and suddenly feel like I've stumbled upon a HUGE cave full of treasure like the kids in The Goonies!! The information I'm finding is just beyond! And then a brilliant light shone on the treasure as it dawned on me, O. M. G., there are no ads popping up all over this blog making me want to pull my eyelashes out one at a time!!! Praise the Lort!!! I have a flight to Vegas tonight and I can't wait to spend some that time digging through all your hard work for information and tips. Start my first official Whole30 next week when I get back, but I've actually been doing it for the last 2 weeks. I say I've been practicing for the kickoff. The only mistakes I've made have been out of ignorance, not out of any desire at all to cheat. I feel like I am being transformed!! Anyway, thanks so much for sharing all your experience. I know it takes a lot of time to do this! Have a great day!!! The carnitas has sunflower oil, which is technically not whole30 compliant. Though they do allow it because almost all restaurants use it or safflower oil. 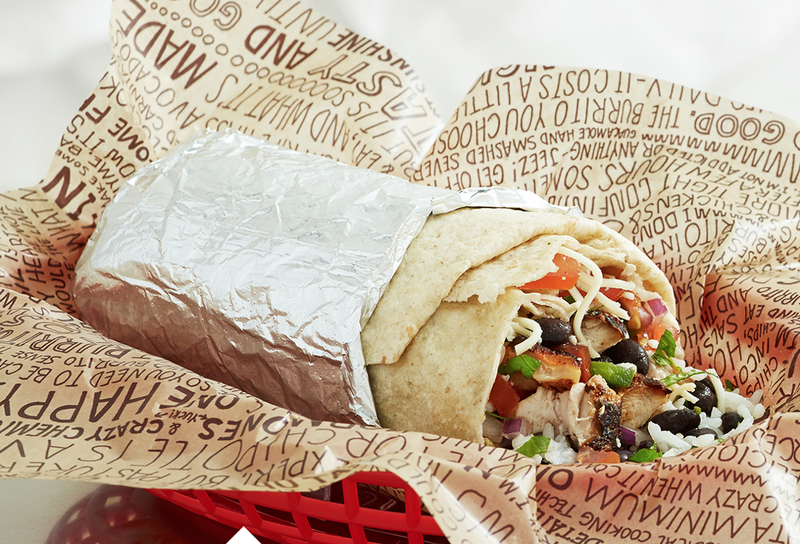 For my first round of whole30, I am choosing not to (ch)eat and go to Chipotle, much to my taste-bud's chagrin. This just saved my whole 30 day 3....thank you!!!!! "Vinegar. Nearly all forms of vinegar, including white, red wine, balsamic, apple cider, and rice, are allowed during your Whole30 program. (The only exception is malt vinegar, which generally contains gluten.)" Thanks Caitlin! I agree with you, so I updated the list to add "hot" salsa to the YES list. I also added Chorizo -- so excited about this one! I went to this place in first time with my husband on Tuesday night after work. The inside of the event venues Chicago was quit big and had enough seats to sit and nice bar area. We had a few things, along with drinks and it was all good!